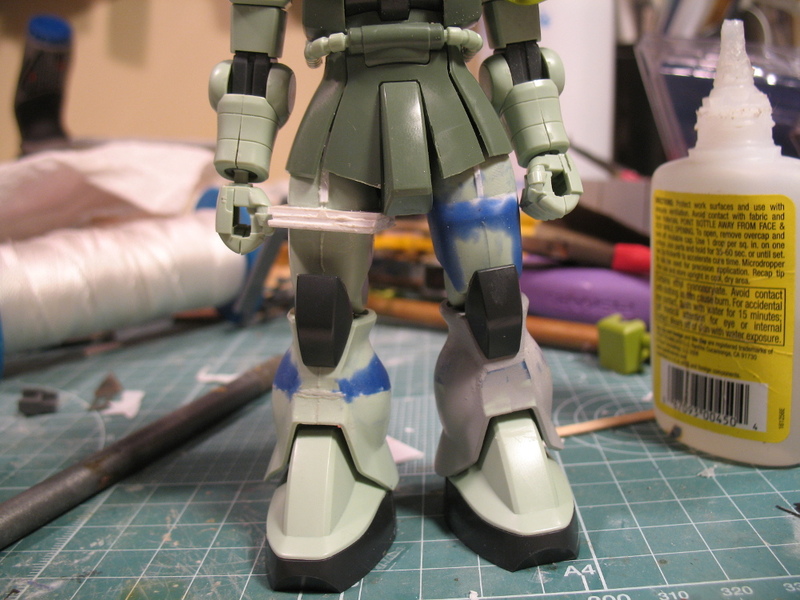 Last time I talked a bit about what’s wrong with the HGUC Zaku, what inspired me to try to fix it, and showed a little bit of the process and the results of the modifications applied to the left leg. 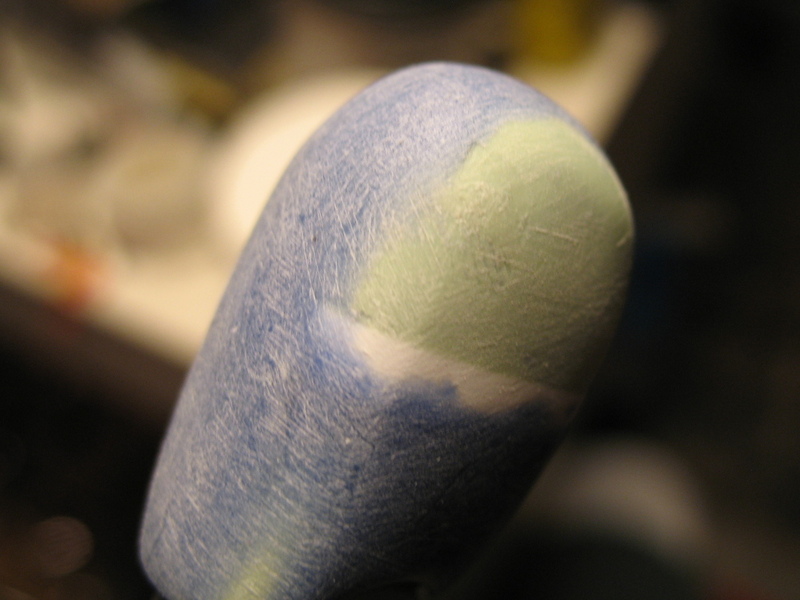 Since then, I’ve applied the same modifications to the right side. There’s still some rough spots that need more work, but at this point you can get a good idea of how the finished model will look. 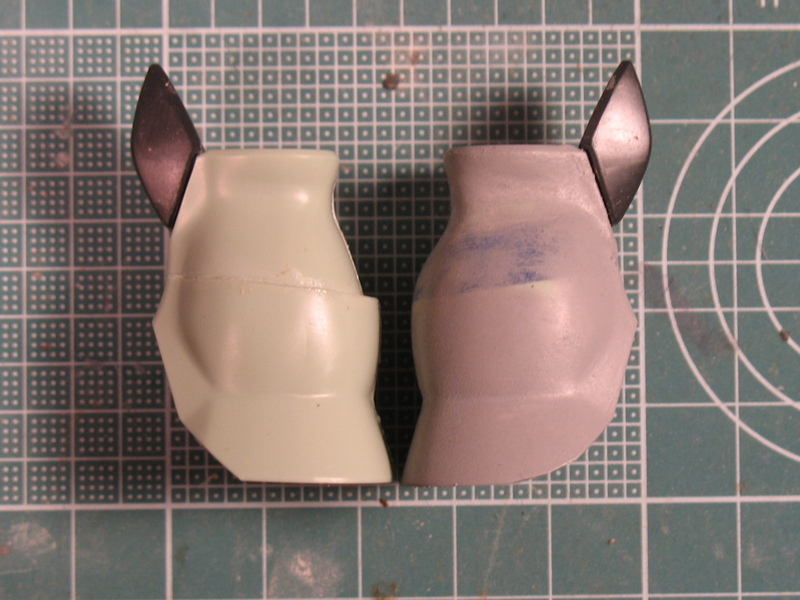 There’s another small change from last time: the Zaku shield and spike armor are replacements from other kits. 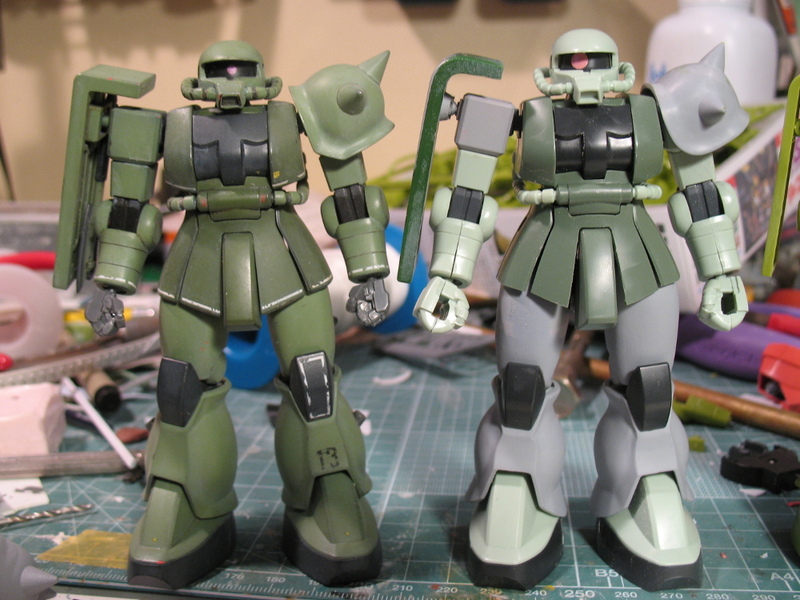 Previously I had planned to modify the HGUC’s spike armor to look more like the one that comes with the 1:144 Minelayer kit; however, I decided it was too much work for too little benefit. It could be fun to see the modification through to the end at some point, but I think they did a really great job with the Minelayer’s spike armor part. 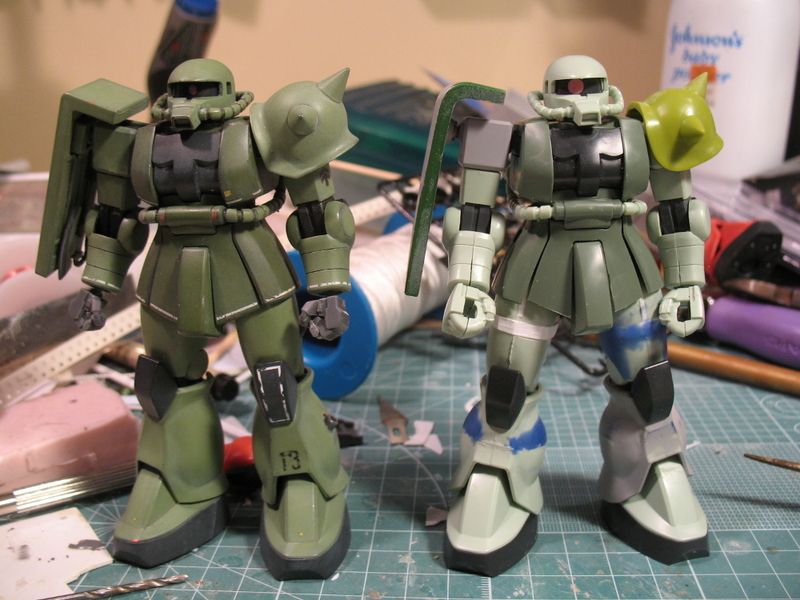 I could put in a bunch of work to turn the HGUC spike armor into something almost as good, or I could just use the old MSV part and maybe recast it if I want more of them in the future. 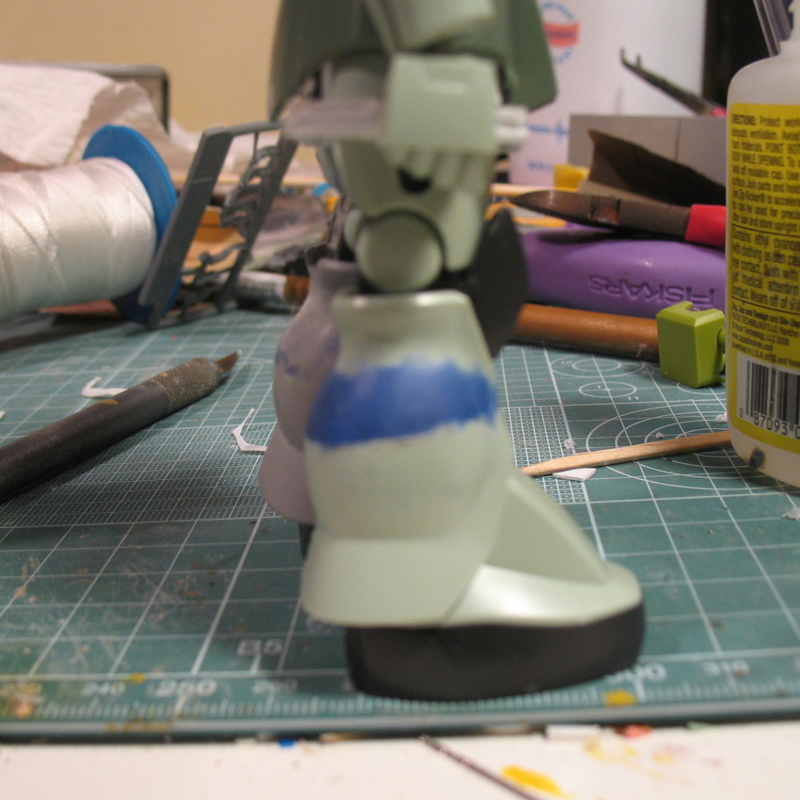 The situation with the shield was similar: I find the HGUC shield too squarish and too narrow. I could have spent a fair bit of effort turning the HGUC shield into something more like the shield that came with the HG Zaku from 1996: change the curvature, widen the shield, and then rebuild all the shield’s back-side detail to account for the changes. 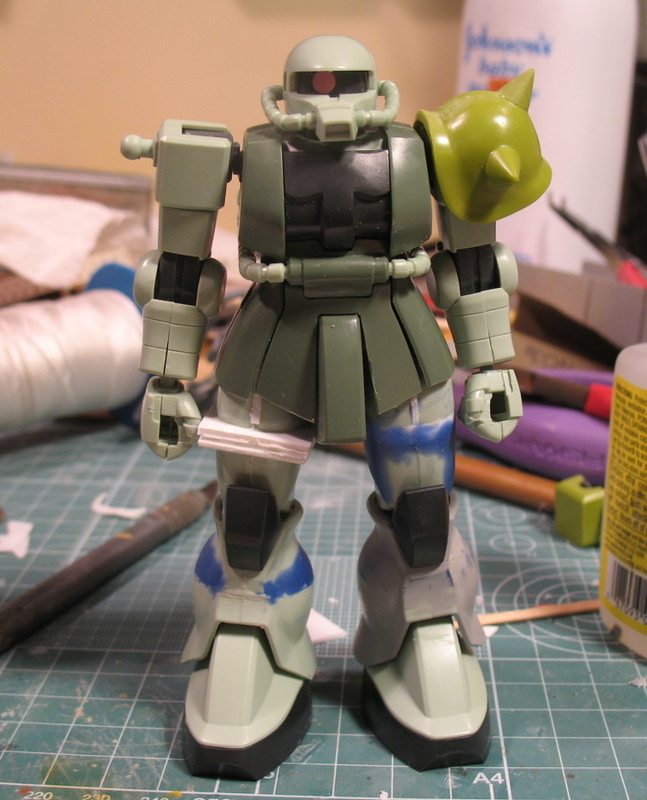 Or I could just get a HG Zaku shield and detail it up a bit. 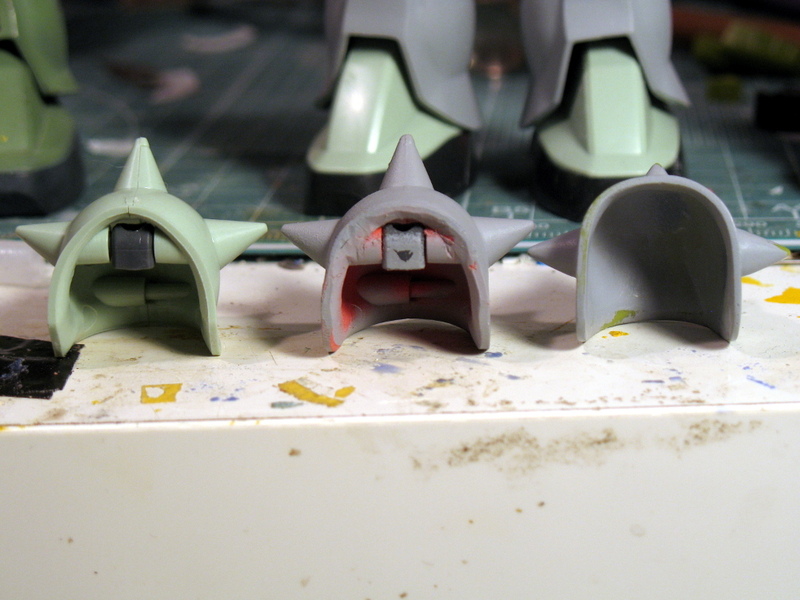 I chose the latter, and I’m planning to recast the shield and use it in other 1:144 Zaku projects as well. 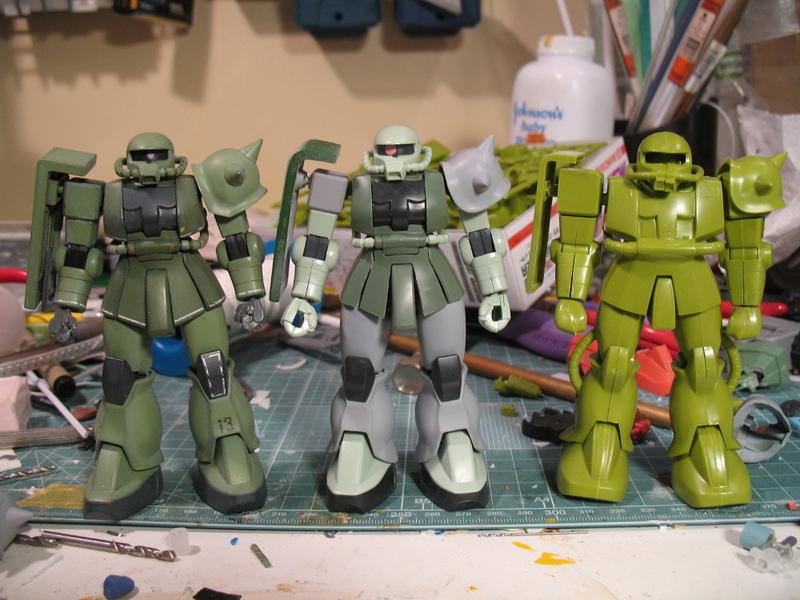 (In fact, I initially prepared this shield for the FG Char’s Zaku, and then appropriated it for this project… So I’ll need to cast copies for both Zakus to get a shield.) 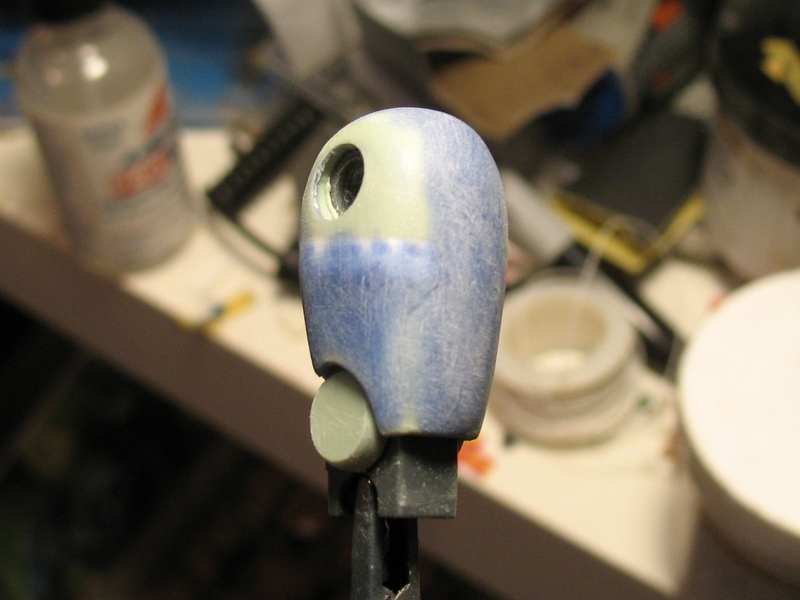 In retrospect, I do wish I’d made the shield thicker like the HGUC Zaku shield… I could still do this by adding plating to the outer surface, though this would complicate the project a bit. Repeating the leg alterations for the right leg was mostly straightforward: the main trick was making the altered leg match its counterpart on the other side. 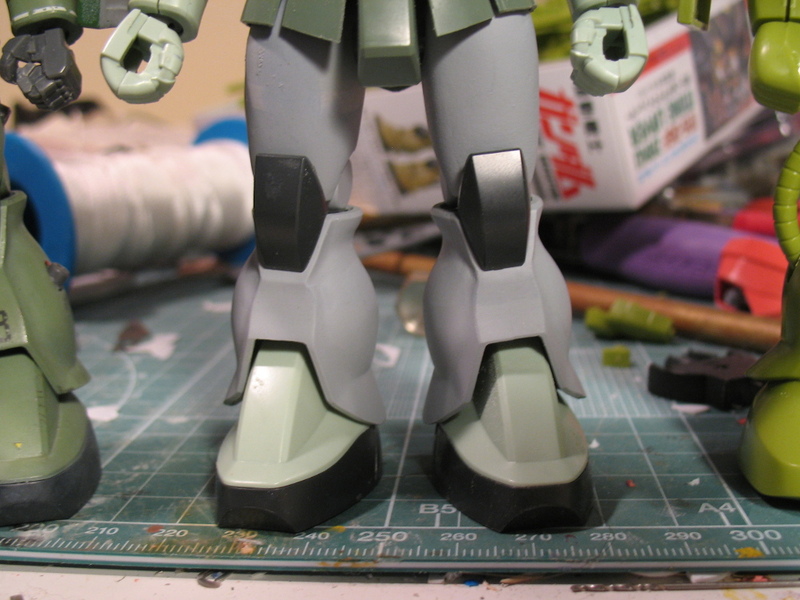 To avoid minor discrepancies, I compared the two legs after completing the basic alteration so I could fine-tune the results on the right leg with additional trimming and/or plates inserted for spacing. So I think it’s shaping up really nicely. Matching the second leg to the first took a bit of trial and error, and there’s still irregularities in the surface on and around the areas bulked up with putty, but the results so far are very encouraging. I look forward to finishing this project.